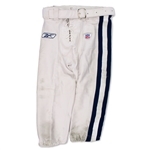 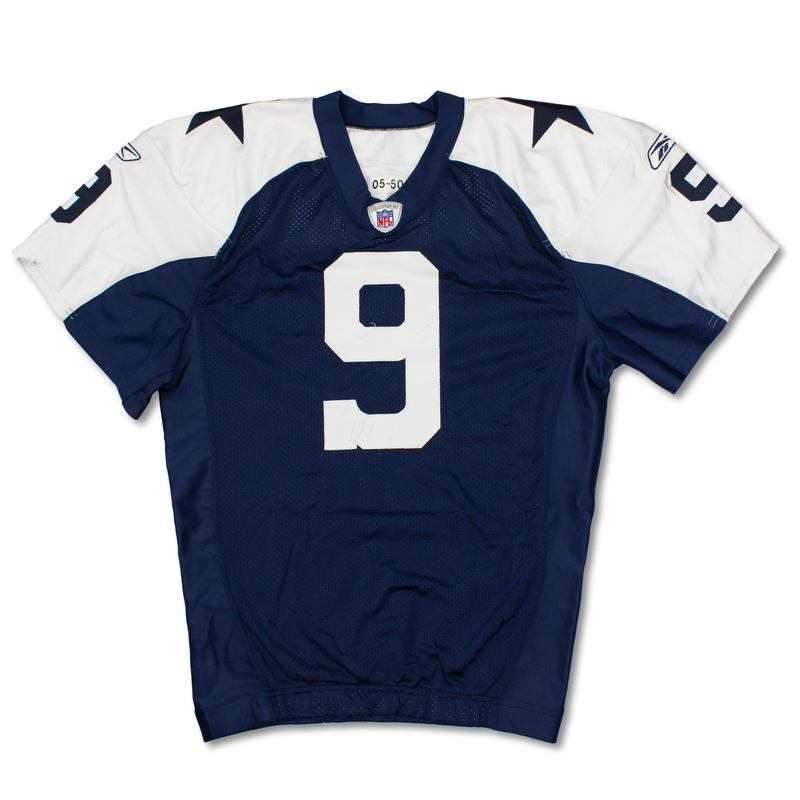 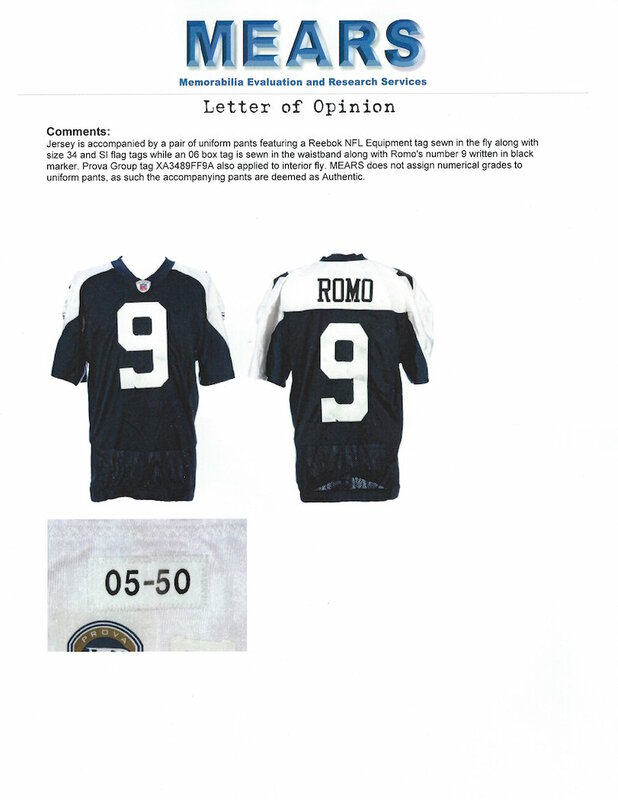 Presented is a Dallas Cowboys Thanksgiving Day uniform worn in two games during the 2006 NFL season by Tony Romo. 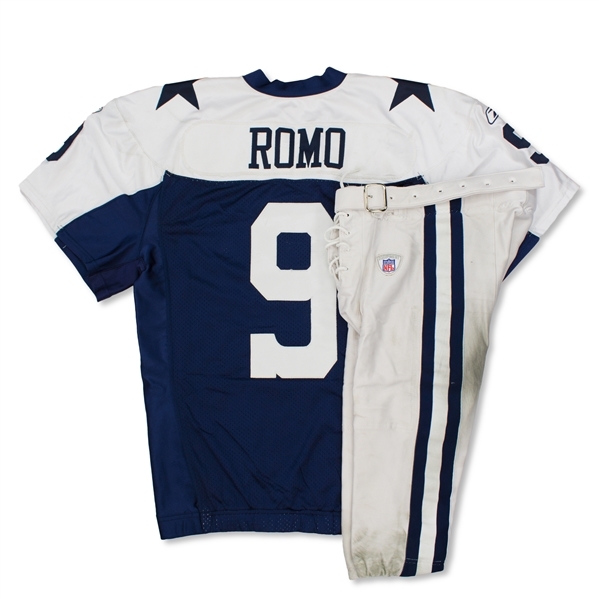 The jersey photo matches to games on November 23, 2006 (Thanksgiving Day), and December 25, 2006 (Christmas Day). 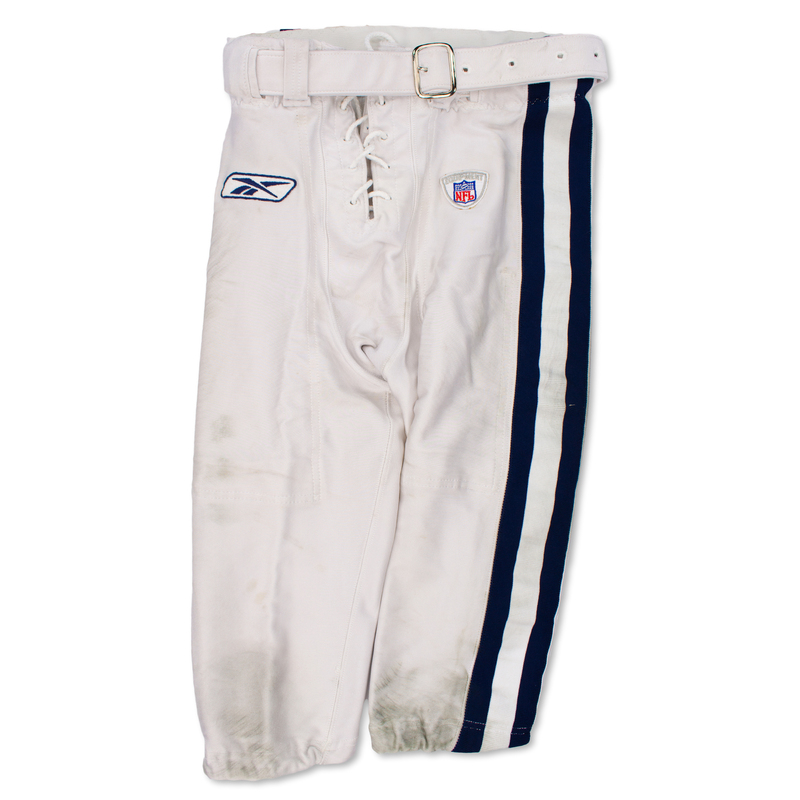 The uniform is unwashed and shows solid game use with stains, loose threads and face mask transfers. 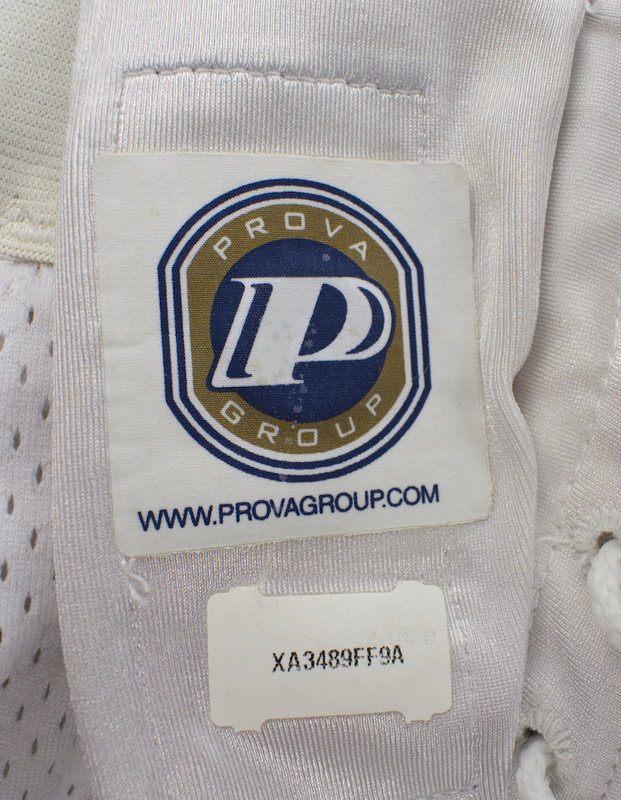 The set is accompanied by Prova tagging, a MEARS A10 letter of authenticity and a photo match LOA from Real Game Used (RGU). 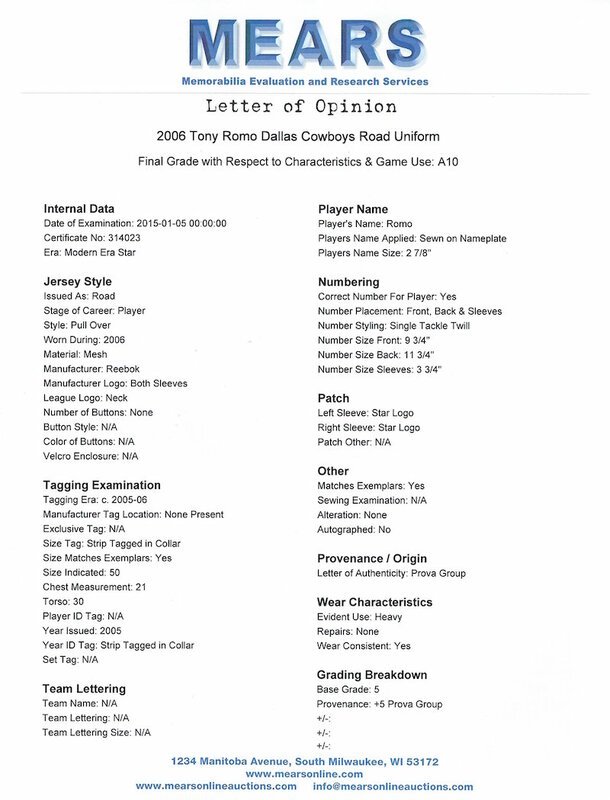 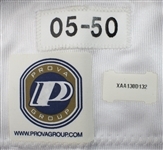 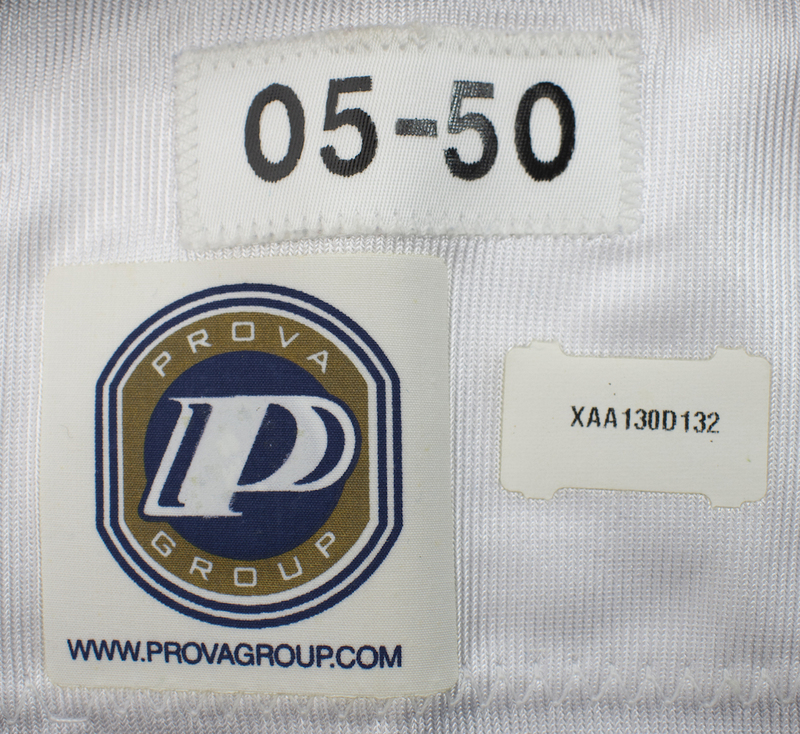 The Reebok jersey is tagged "05-50" indicating the year of manufacturing and the size of the jersey. 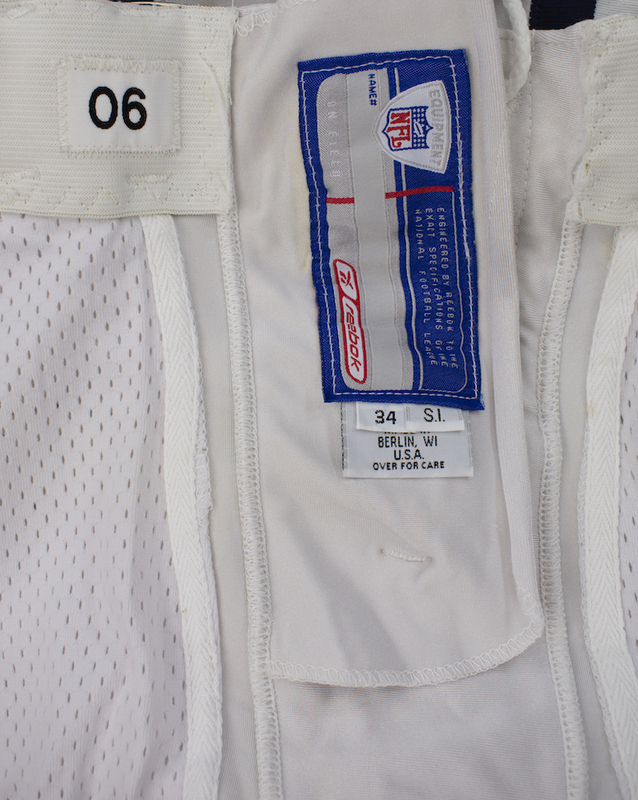 The Reebok pants are tagged "06". 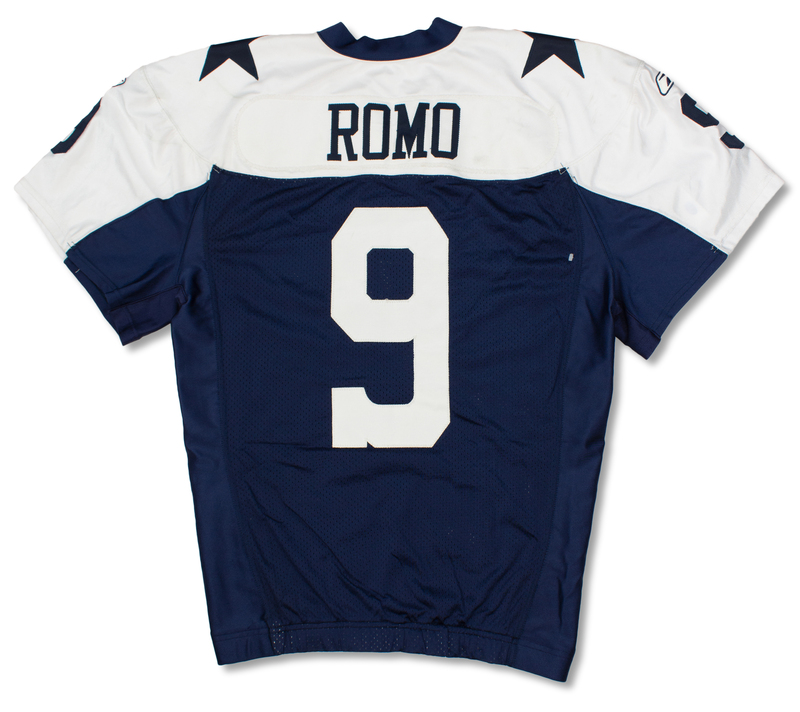 Tony Romo is a Dallas Cowboys legend and now is one of the most popular NFL commentators on television.